Preparations are going well for the Inter-agency Council (IAC) for the Month of Overseas Filipinos 2013 chaired by Philippine Migrants Rights Watch (PMRW) and co-chaired by the Commission on Filipinos Overseas (CFO) that serves as the Council’s secretariat. The Council is composed of several government agencies that have programs and services for overseas Filipinos such as the Overseas Workers Welfare Administration (OWWA) the Philippine Overseas Employment Administration (POEA), Department of Labor and Employment (DOLE), National Reintegration Center for OFWs (NRCO), Department of Foreign Affairs-Office of the Undersecretary for Migrant Workers Affairs (DFA-OUMWA), Pag-IBIG Fund, Social Security Systems (SSS), PhilHealth, Department of Trade and Industry, Department of Tourism, Department of Interior and Local Government (DILG), Union of Local Authorities of the Philippines (ULAP), League of Provinces of the Philippines (LPP), League of Cities of the Philippines (LCP), Presidential Communication Operations Office, National Commission for Culture and the Arts (NCCA), Film Development Council of the Philippines (FDCP) and civil society groups like the Migrant Forum in Asia (MFA) and the Philippine Migration and Research Network (PMRN). 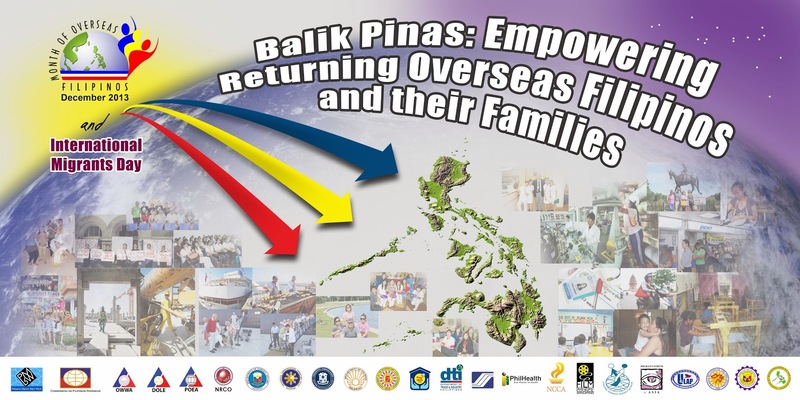 The theme for this year is Balik Pinas: Empowering Returning Overseas Filipinos and their Families. The aim is to highlight government programs, international organizations and civil society initiatives for returning migrants and their families, the mainstreaming of the concept of migration and development in the local level; and highlighting success stories and contributions of migrants in the development of their local communities. Three monthly meetings were held for the quarter. Several events are being lined up to celebrate the month of overseas towards the end of the year. A regional forum will be held in Ateneo de Davao University, Davao City that is scheduled for November 22, 2013. Another regional forum is being planned for La Union set for November 29, 2013. 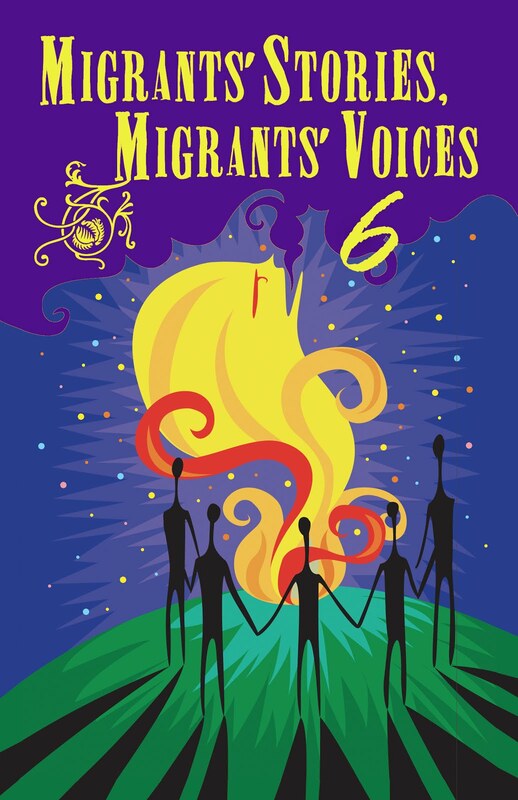 And to commemorate the International Migrants Day the national forum will be held on December 18, 2013 at the RM hall of the Social Security System head office in East Avenue, Quezon City. Culminating the forum will be the CFO’s awarding of winners for the 2013 Migration Advocacy and Media Awards and the cultural presentation by the NCCA. The calendar of activities for the month-long celebration of MOF 2013 is being readied. Among the activities include PhilHealth sponsored Yeba! a fun original Filipino workout based on Philippine folk dance steps that is set to original Pilipino music. Included also are cultural events and film showing.